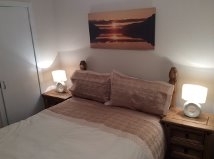 Tigh a' Chreagain is a spacious 4 bedroom self catering cottage set in a spectacular, peaceful, coastal location on the East coast of the Isle of Harris. 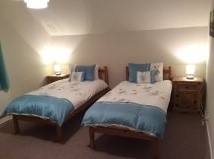 Tigh a'Chreagain has 2 twin rooms and a double room on the first floor. 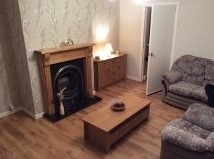 On the ground floor there is one double bedroom, kitchen, utility room, dining room, separate sitting room and bathroom. It is an excellent base to explore the island, go fishing, walking, cycling, kayaking, golfing and wildlife watching. 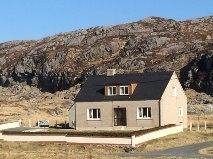 We are only a 15 minute drive from the spectacular beaches of Luskentyre and Horgabost. 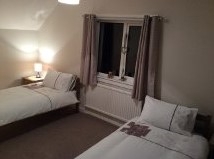 Facilities in the house include; washing machine, tumble drier, microwave, dishwasher, toaster, Freeview TV, DVD, CD player with a selection of CDs, IPod dock, hair drier,iron and ironing board a selection of books and games and a box of toys for younger children. The house is surrounded by a walled garden and there is ample parking for four cars. We have outdoor drying facilities and an outhouse is available for storing bicycles, kayaks etc. Linen and towels are supplied and electricity is included in the cost.